1 Ecard maker helps you quickly DIY ecards for all occasions, including Christmas, New Year and Valentine card and so on. 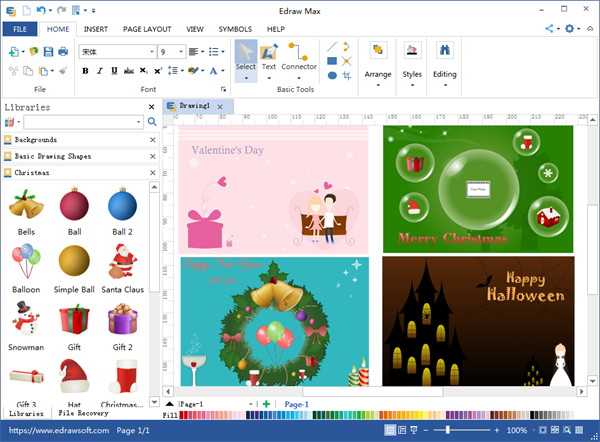 A easy yet advanced ecard software for all, perfect for both professional designers and beginners. With this application, you can easily make an ecard in minutes as long as you know how to use a computer. No matter who you are, you can DIY professional-looking ecards without designing skill and experience. Definitely the easiest ecard maker for all. Just select a template or built-in shapes and then add your own texts. You can even insert your own photos, logo or picture. 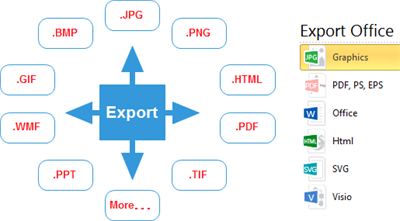 When you're done, export it as various formats and send it to your families or friends. Yeah, ridiculously simple. Click here to free download Ecard Software. You also can use the ecards templates to create your own perfect ecards and send greetings creatively. Ecard Software includes many vector elements which will be of great help when you draw ecards. These shapes are categorized based on different festivals. See the following illustrations. Drag and drop function of these symbols eliminate the need to draw and download. This saves tons of time and simplify design process a lot. 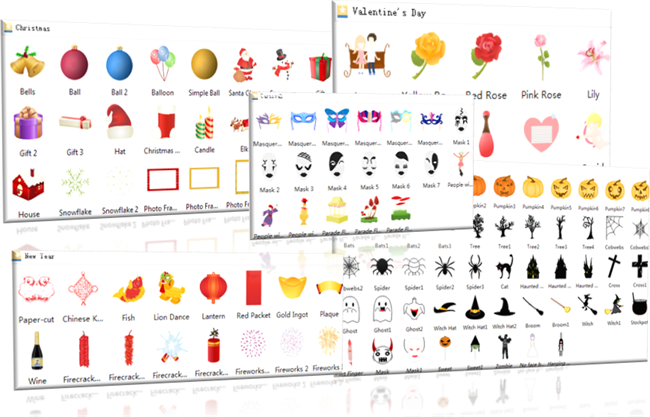 Choose from 10,000+ symbols, including backgrounds and clipart , to create various ecardss. Add color gradient effect, fonts and texture to your design. Various ready to use ecards examples such as Christmas card, Valentine Card and Halloween Card. Supports to insert local photos and images. Supports various formats for easy sharing. Click relevant links for wish wordings for different festivals.